After a lifeless performance in a crucial division matchup against the Miami Heat just 10 days ago where the Hornets scored their lowest points total of the season and slumped to a 93-75 defeat putting their already slim playoff hopes on life support, no one could’ve predicted where we’d be now. 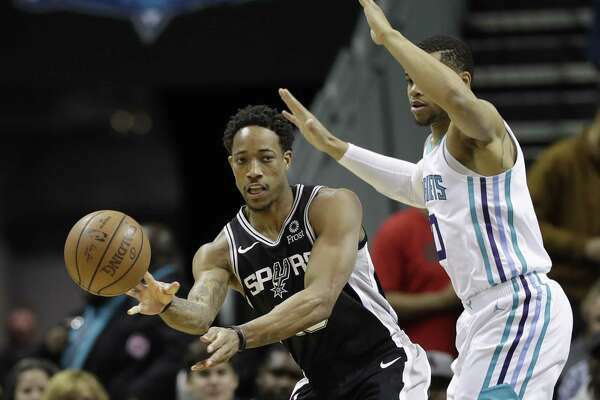 Even before we saw this recent leap from him, the Michigan State rookie was having one of the more exciting debut seasons from a Hornet in recent memory. His effort and tenacity combined with his ferocious dunks, which earned him a place in the Slam Dunk Contest as the hometown candidate in February, had already given fans enough belief for his career going forward that he could be a true impact player. It was only until this current stretch of form where we realized that Bridges may become something special even sooner that a lot of us had expected. Over this winning streak, Bridges has been averaging 14 Points and 7.5 Rebounds and has added some solid defensive play, shown in the team’s most recent win against the spurs as he dueled with Demar DeRozan down the stretch and came out with a block and a strong shot contest to send the game to overtime. There was something very satisfying about watching Bridges in that game, it was a moment of pride and happiness for a guy who seemed like he was finally able to put it all together. A harsher critic of his may say that he has spent a lot of the season lost on the court, a player with ‘all the gear but no idea’ as he continued to find his spot in the rotation with fluctuating minutes and differing responsibilities. Him being thrust into the starting line-up at the end of the all star break is maybe being more of a kick of motivation than a position earned on merit by his performances to that point, though whatever it was, the benefits are certainly being reaped now. With the impending departure of Jeremy Lamb this summer, it is very likely that Bridges will be the best wing on the team come the 2019/2020 season, so his development late this season is very timely. Combine that with the improvements made by Dwayne Bacon who is establishing himself as a reliable ‘3 and D’ player in the absence of Nic Batum and you’d be forgiven for believing that the Hornets may finally be building an ideal team around Kemba Walker. It’s no coincidence that his assist numbers have shot up recently having capable shooters on the outside to pass to rather than the likes of Michael Kidd-Gilchrist. Unfortunately, this may have come as too little too late – Kemba’s impending free agency has hung over the team all year and missing the playoffs in three straight years with him making the all star team each of those seasons could understandably be the final straw. It’s even possible that making the playoffs and getting knocked out quickly by the likes of Milwaukee or Toronto won’t be enough to retain Walker as well. Hopefully when it comes down to it this summer, Walker feels the same way.